Galco is offering the KingTuk, Summer Comfort, Pocket Protector, along with other belt, IWB, ankle and shoulder holster options for the GLOCK 43. Galco Gunleather is excited to introduce multiple holster fits for the new Glock 43! Following the 43’s highly successful introduction at the 2015 NRA Annual Meetings & Exhibits in Nashville, Galco is pleased to offer its extremely popular KingTuk™, Summer Comfort™, Pocket Protector™, along with a wide assortment of other belt, IWB, ankle and shoulder holster options. Not only that, Galco also offers eight women’s holster handbags, the versatile Underwraps™ belly band, three day planners and ammo carriers for the instantly-popular Glock 43! With holsters in every price range and multiple carry methods, Galco can help outfit Glock 43 owners with the highest-quality American-made gunleather. 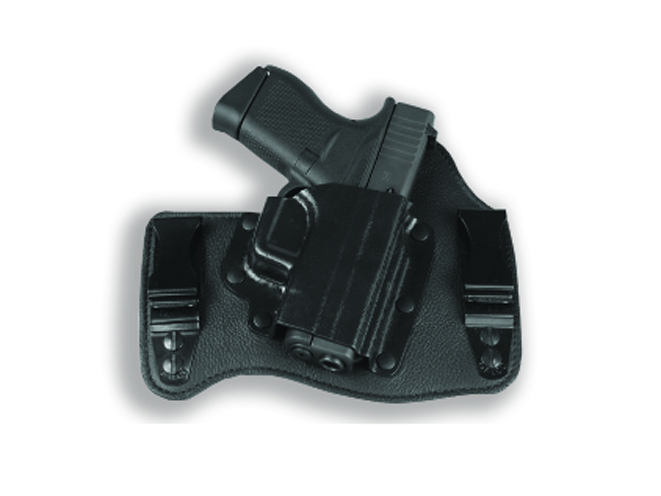 Visit Galco’s website today and see the complete line of holsters for the Glock 43!